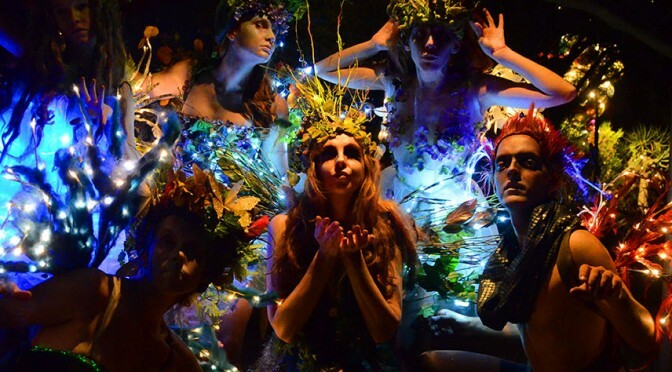 The Southwest Shakespeare Company performed “FairyWorlds!” as an adaptation of William Shakespeare’s “A Midsummer Night’s Dream” in May and June 2014. The play was staged outdoors at the Desert Botanical Garden in east Phoenix. “FairyWorlds!” was directed by Jared Sakren and featured Randy Messersmith as Theseus and Oberon, Tracy Liz Miller as Hippolyta and Titania and Paul Michael Thomsom as Puck and Philostrate.